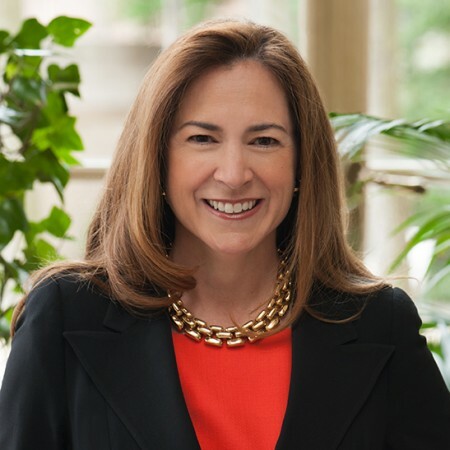 Ms. Lee Satterfield joins Meridian International Center after spending the last 20 years working in Washington, D.C. with a distinguished career in the public, political, and private sectors. Ms. Satterfield has spent the substantial part of her career engaged in public service. Most recently, she served as the Deputy Assistant Secretary of State for Professional and Cultural Exchanges at the Bureau of Educational and Cultural Affairs (ECA) from 2011 to 2014, where she oversaw a broad range of professional, cultural, youth, and sports exchange programs to increase mutual understanding between Americans and people around the world. In this role, Ms. Satterfield helped forge more private sector partnerships, including TechWomen, a professional exchange focused in the Middle East and North Africa region to promote women in STEM with over 40 technology companies, as well as a global program with espnW to empower women and girls through sports. Previously, Ms. Satterfield served as Deputy Chief of Protocol of the United States. In this position, Ms. Satterfield oversaw the visits of chiefs of state, heads of government, and other international dignitaries who visited the United States to meet with the President, Vice President, or Secretary of State. She also oversaw the Diplomatic Partnerships Division which conducts outreach to the Diplomatic Corps based in Washington, D.C. and presidential delegations sent to attend official ceremonies abroad representing the President. She was appointed by the President as a member of the official U.S. delegation to the 2011 FIFA Women’s World Cup Final. Ms. Satterfield served in the Clinton Administration in several capacities. She was the Chief of Staff at the Labor Department to Secretary Alexis Herman; Special Assistant to the President and Staff Director for The White House Office of Public Liaison; Special Assistant to the President and Deputy Director of Scheduling for President Clinton; and Scheduler for Vice President Gore. Following her service in the Clinton Administration, Ms. Satterfield was Director of Planning for the Democratic National Convention Committee where she oversaw the site selection process for the 2004 Democratic National Convention held in Boston, Massachusetts. She also served as Deputy Chief Operating Officer for the Democratic National Committee and Chief of Staff to then Chairman Terry McAuliffe. After leaving the State Department in 2014, Ms. Satterfield transitioned to the private sector, serving as a consultant to several multinational clients on issues involving organization design and structure, strategic planning, crisis management and executive preparedness. Ms. Satterfield is a native of South Carolina where she graduated from the University of South Carolina with a Bachelor of Arts in Journalism. She lives in Washington, D.C. with her husband, Patrick Steel, and their two sons, Jack and Conor.